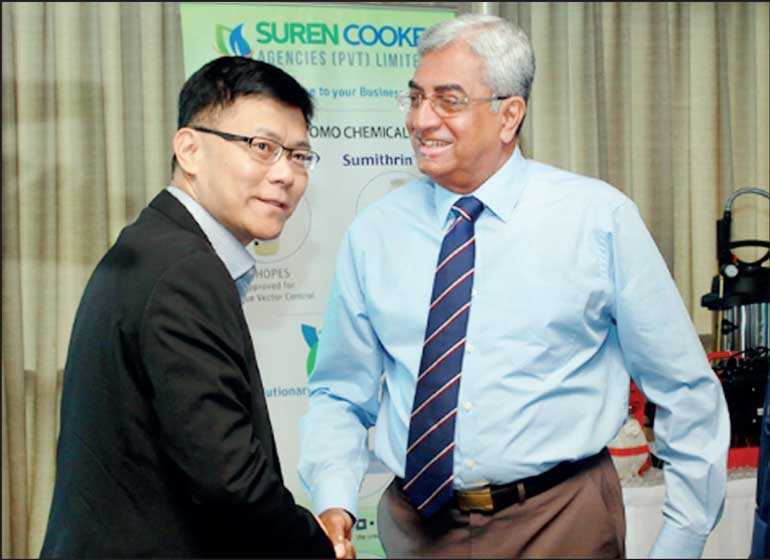 Being the pioneer in providing pest control services in Sri Lanka since 1985, Suren Cooke Agencies have been in the forefront of serving the community in the effective management of pests. They are committed towards the advancement of the natural environment. In keeping with this initiative, they have introduced several revolutionary methods in their operations; thus, ‘Going green’when getting rid of harmful pests and not affecting the natural environment. Commenting on the latest initiative, Suren Cooke Agencies Managing Director Suren Cooke said: “We have taken this bold step in order to preserve our natural resources and keep our operations/treatments, environmentally friendly. One such significant method of eradicating termites being, the ‘Termite Colony Elimination System’, instead of drilling and injecting insecticides to the environment. The eco-friendly method makes the termites carry the non-toxic insecticide to the Queen and this effectively and efficiently eliminates the colony. The second method being the introduction of an insecticide which has a very low toxicity and is able to be used in food preparation areas. It has the HACCP Certification and an International Standard, defining the requirements for effective control for food safety. The Company imports and supplies pesticides and equipment to Government institutions – primarily the Defence Services, Provincial Councils, Non Government Organisations such as the World Health Organization, World Food Program, hospitals, Anti-Malaria Campaign, private institutions and residences. They specialise in Fumigation of stored products, export commodities, aircrafts, ships, anti- termite detection and treatment of pre construction and post construction sites – using the ‘Termite Detection Camera’, Bait Stations and ‘Thermal Fogging’ against mosquitoes using truck mounted and portable foggers. The ‘Heat Treatment’ is another method which is very effective in eliminatingbed bugs. Unlike the conventional method of spraying toxic insecticide on the mattress, etc. All the plastic waste produced by SCA, are recycled and re used to manufacture one of their products, namely the ‘Rodent Bait Station’. Leading hotels, guest houses and residences prefer the above mentioned two methods as against the common toxic method. The key feature of these two methods being, that the premises could be re-occupied once the process is completed instead of waiting for an incubation period.